An Aberdeen councillor provoked outrage yesterday after saying people were “sick fed up with Brexit”. Aberdeen Labour member Gordon Graham was speaking in a lengthy debate at yesterday’s city growth committee meeting on the findings of the city’s independent economic panel. Opposition SNP member Catriona MacKenzie raised concerns that the member’s summary of the report seemed to omit mentions of the risks raised of leaving the EU by the independent experts. Liberal Democrat Ian Yuill said there appeared to be “editorialising” of the report and that the omission may have been “an active decision”. An opposition amendment was then put forward urging the chief executive to write to the UK government on concerns of the flow of migration following the departure next March. 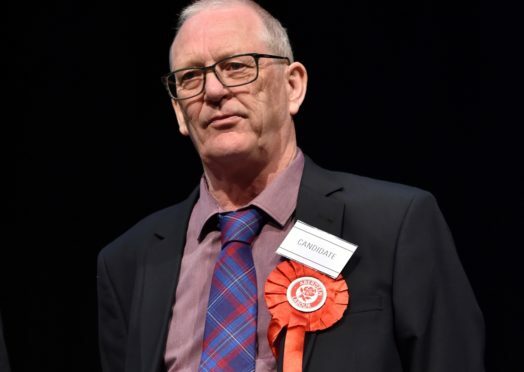 But Mr Graham, a member for Northfield and Mastrick North, said he was “disappointed” with the move adding: “I think everyone is sick fed up with Brexit, except the SNP as they seem to be the only ones speaking about it. But this was met with an angry reaction with SNP member Alex Nicoll saying the Brexit was “probably the most important development in our lifetimes”. Aberdeen Labour group leader Jenny Laing said she was sure all members recognised the importance of the issue. The amendment was defeated by five votes to four.